Ol' Backwoods reckons Obama has made his choice: civil war. Famed SEAL sniper Chris Kyle, MURDERED! Mighty, mighty suspicious, after 30 SEALS get killed in a helicopter, and after Chris Kyle wrote a book foreword for Glen Doherty, a fellow seal killed in the Benghazi diplomat massacre. GLEN ROSE, Texas -- A former U.S. Navy SEAL who gained recognition during the Iraq War was one of two people fatally shot southwest of Fort Worth on Saturday, KHOU 11 News has learned. Sources close to the investigation identified the former SEAL as Chris Kyle, 39, author of the New York Times bestselling book, "American Sniper." Kyle was shot point-blank while helping another soldier who was recovering from post traumatic stress syndrome, officials said. The murders happened at a shooting range [Rough Creek] near the town of Glen Rose, about 53 miles southwest of Fort Worth. I'm bettin' here and now, that Routh will a) turn out to be a patsy, and/or b) wake up dead. 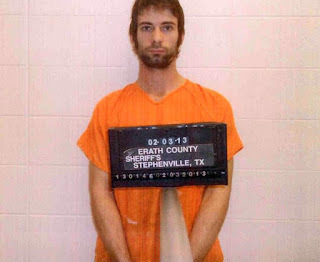 UPDATE 2/3 11:41 PM: Routh TASERED in jail! After eating dinner, Routh refused to return his food tray to jailers. He became aggressive and tried to attack them when they tried to get it back from him, said Erath County Sheriff Tommy Bryant. 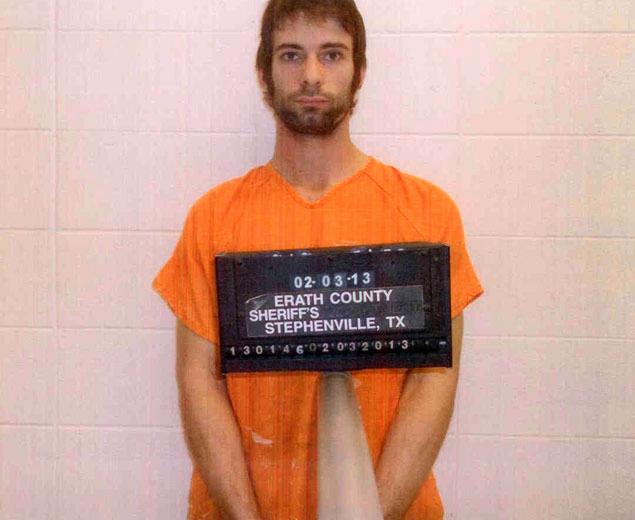 Jailers tasered Routh and placed him in a restraining chair in his solitary cell. He is on suicide watch, Bryant said. Bryant also said there have been death threats made against Routh since news of his alleged actions spread. Erath County Sheriff Tommy Bryant told the Star-Telegram that Kyle, 38, was shot by a suspected gunman, identified as 25-year-old Eddie Ray Routh, around 3:30 p.m. Routh allegedly opened fire on the two men before fleeing in a pickup truck belonging to one of the victims, according to the report. Routh was apprehended and taken into custody in Lancaster, southeast of Dallas, where he was arraigned on two counts of capital murder. 35-year-old Chad Littlefield was also killed in the shooting. DHS has raided a gun collector in NM, siezed his property, but NO charges filed or revealed. By all accounts, he has done nothing wrong. This sounds like a scene from my friend Matt Bracken's novel Enemies Foreign and Domestic. We should demand answers NOW. In the midst of a "national conversation" about gun confiscation, and Obama talking about controlling guns "under the radar", this looks darned fishy. On Wednesday, the Department of Homeland Security, along with a SWAT team and Bernalillo County sheriff’s deputies raided the home of Robert Adams in Albuquerque, New Mexico and, according to a federal search warrant affidavit the raid seized nearly 1,500 firearms from the man’s home and business. However, no charges have been filed against him, despite the fact that court documents reveal that agents had been watching Adams for years. By Wednesday afternoon dozens of rifles were hauled out of the house, bagged as evidence and laid out on the lawn. According to search warrants that were filed on Thursday Homeland Security Investigations confiscated nearly 900 firearms from Adams’ home, 548 handguns and 317 rifles. They also seized 599 pistols and revolvers from his office. This is nothing but pure-dee tyranny, friends. Notice that the Sheriff's deputies helped. That makes me sick. They have also become tyrants. "Shall not be infringed" means what it says. If we don't push back now, when will we? If we cannot stop another Ruby Ridge, another Waco now, when will we?